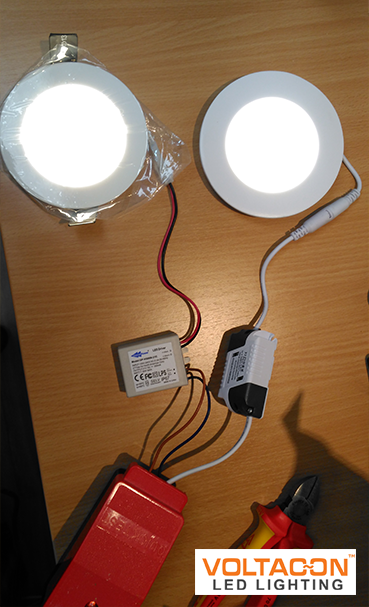 Comparison of LED round panels - downlighters. 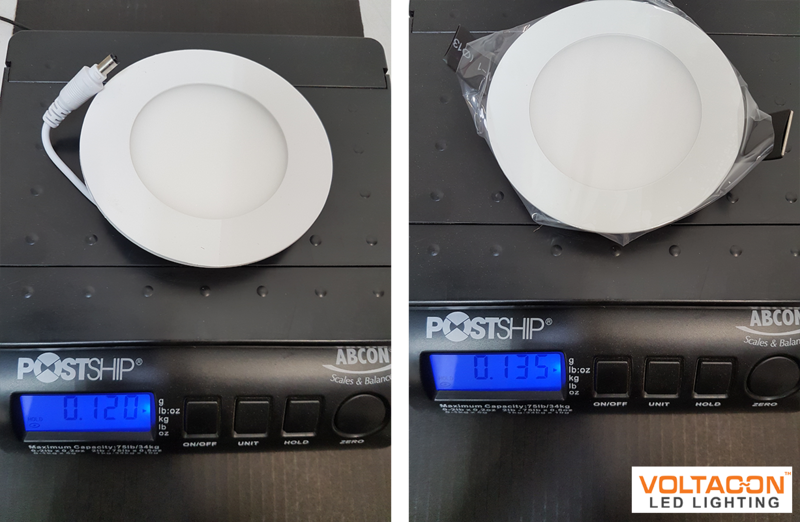 Today we will compare one of our LED Round Panels (manufactured by Glacial Light) with another one we found on the market, to see if it really performs as good as it's advertised. We start off by comparing the packaging. Our LED Panel comes in a thick cardboard box which can't be bent easily, together with a detailed manual and specification table. 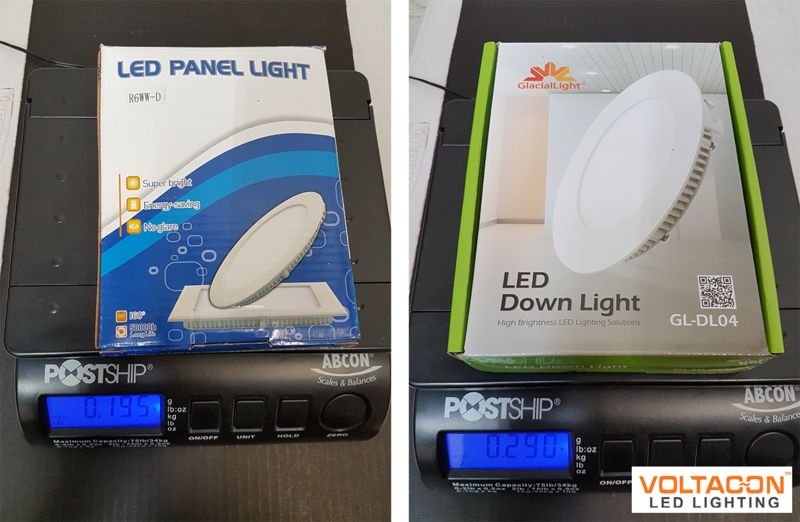 The other LED Panel that we found for comparison doesn't have a manual or a real specification table, and the packaging is clearly inferior. The certifications of a product are proof of reliability. While the competitor's LED Panel comes only with CE certification, ours has the following certifications: CE, TUV, UL (applicable to USA), EMC-CE and ROHS. 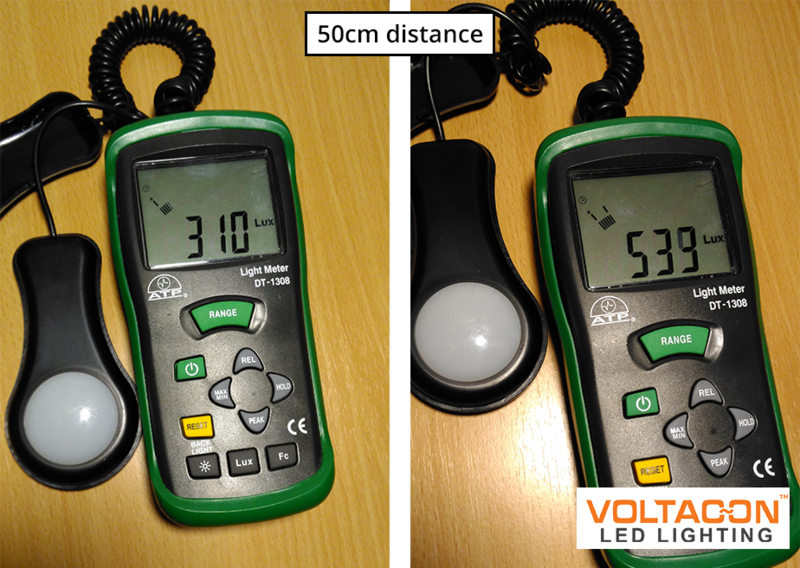 In LED products a good measure for the quality of the product is represented by its weight. We can see below a difference of 100 grams between the products. This could be an idicator that the competitor product is lacking aluminum (poor packaging etc.). We would let the pictures below speak for themselves - our LED Panel is on the right. Even though the competitor product is advertised as using 6W and the one that we sell is 7.5W, we will see how much of a difference the 1.5 watts really make. We measured the lux levels from a distance of 50cm. Even though the competitor advertises the product as a 6W one, it actually consumes 35% more energy. Looks like it consumes even more power than our 7.5W panel... all this while providing 220 less lux than ours. We try to be as objective as possible in our reviews and we encourage you to make the same measurements at home. 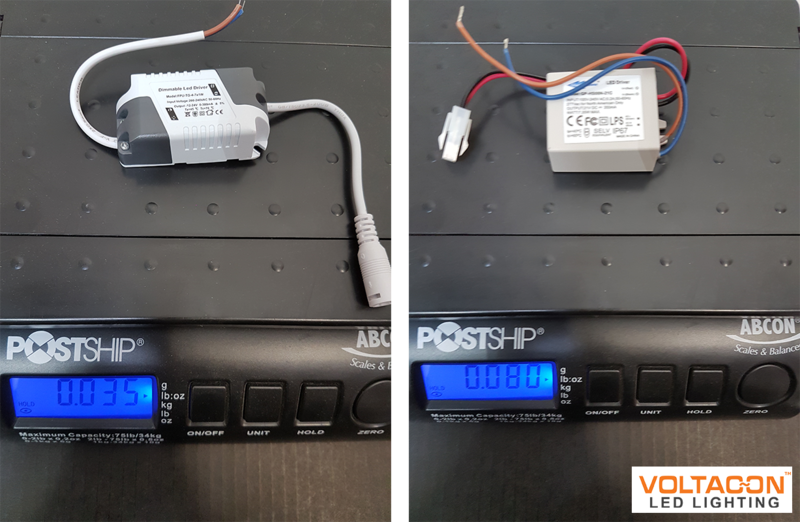 Even though you might not have a tool to measure lux level, you should probably have a scale and a power meter to measure wattage. Do your research properly before buying LED lights. The cheap products might appeal to you at first, but it's not a wise investment in the end.